Lionsgate Home Entertainment has announced the date and released artwork for the supernatural thriller, The Witch starring Anya Taylor-Joy. Click on the link below or image to the left to check out the features and artwork. 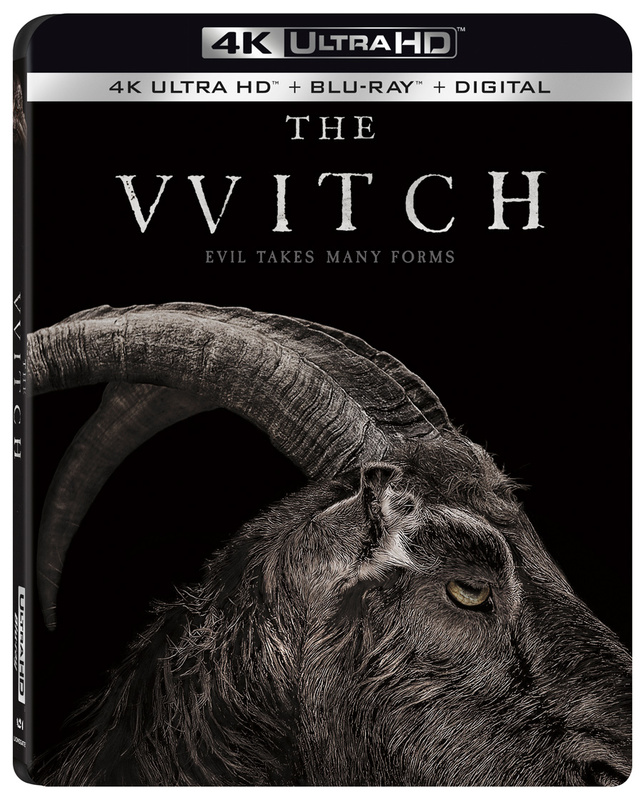 One of the most original horror films of the past decade has never looked so good as when The Witch arrives on 4K Ultra HD Combo Pack (plus Blu-ray™ and Digital) April 23 from Lionsgate. Directed by Robert Eggers, winner of Best Director at the 2015 Sundance Film Festival, this supernatural horror tale stars Ralph Ineson, Katie Dickie, and up-and-coming star Anya Taylor-Joy in a “breakout performance” (Jake Coyle, Associated Press), and has been hailed by Indiewire as “the most exciting and genuinely horrifying American horror film since The Blair Witch Project.” Experience four times the resolution of Full HD with the 4K Ultra HD Combo Pack, which includes Dolby Vision HDR, bringing entertainment to life through ultra-vivid picture quality. When compared to a standard picture, Dolby Vision can deliver spectacular colors never before seen on-screen, highlights that are up to 40 times brighter, and blacks that are 10 times darker. Available for the very first time in this absolutely stunning format, The Witch 4K Ultra HD™ Combo Pack includes an audio commentary with director Robert Eggers, a featurette, a Q&A with cast and crew, and a design gallery, and will be available for the suggested retail price of $22.99.